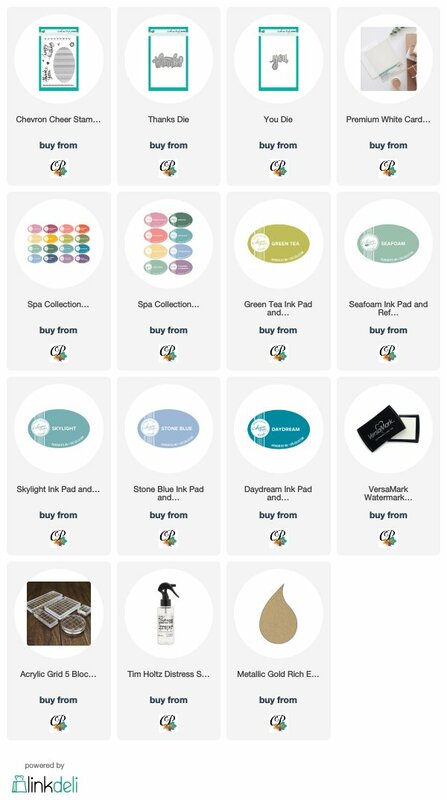 Hi everyone, Susan here with you today sharing a card using products from the new Zen Garden release. 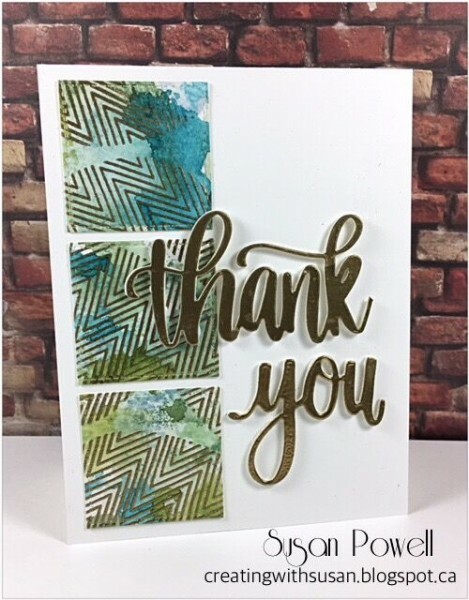 My card features the Chevron Cheer stamp set and the Thanks and You dies. 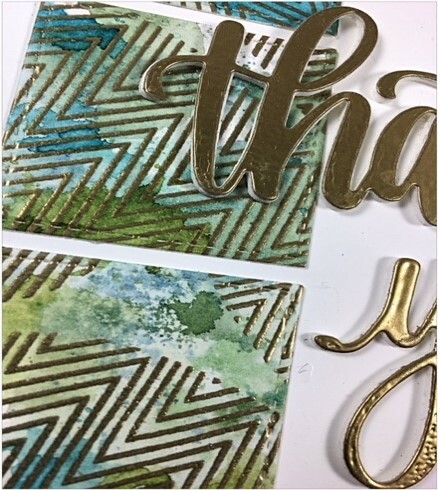 I started by stamping the chevron oval a few times onto watercolor paper with versamark ink and heat set it with gold embossing powder. Next I did some ink smooshing with Daydream, Stone Blue, Skylight, Seafoam and Green Tea inks. I added some ink to a large stamping block, gave it a spritz or two of water and then ‘smooshed' the paper in the ink. I dried it with a heat gun and then repeated the process until I was happy with how it looked. I used a square die to cut out 3 pieces and added them to the card base. After die-cutting out both the words Thanks and You I cut the “s” off of thanks, I covered both of them with Versamark ink and pressed them into the gold embossing powder. I added them to craft foam and then to the card. I had a blast making this card!